HomeGENERAL HEALTHIs Eating A High-Protein Diet Dangerous To Your Health? With so many diets out there, it is understandable why it can be hard to figure out where to start when you want to lose weight. It can be especially challenging to figure out what the pros and cons of each plan are which then makes it hard for you to compare diets to each other. High-protein diets are essentially low-carbohydrate diets. Ideally what you’re doing is lowering the calories from carbohydrates in your diet while upping the calories from proteins and healthy fats. Normally carbs make up 45-65% of the typical meal, so anything below 45% is high protein. Low-carb diets have been around for a while. So how do these diets work? There are a few answers. Theoretically if you cut almost all carbs out of your diet, your body becomes less able to use sugars and instead has to burn fat. The problem is, it’s hard to eliminate carbs in this way and you’re essentially sending your body into a kind of starvation, which isn’t the healthiest long-term strategy for most. The key reason most people lose weight on low-carb diets is that it’s just not possible to make up the calories you lose in energy-dense carbs with less energy-rich protein. As a result, most people end up dropping their daily calorie count compared to before they started the diet. Lowering the calories in your diet helps shrink your waistline. The great news is that protein tends to keep you feeling full for longer than the simple carbs most of us eat, which means you eat less, feel fuller and consume fewer calories overall. There are other benefits that come from dropping carbs. A recent study found that dropping calories from carbs rather than fat actually helps to change your body composition. Those on a low-carb diet tend to gain muscle mass, rather than losing it the way you do in a low-fat diet. More muscle means a higher metabolic rate, and that means more calories burned all day long. Those who drop their carbs also lower their risk of diabetes because high-protein diets release calories into the system much more slowly and trigger less of an insulin response than the simple sugars in carbohydrates. In the same study, those on low-carb diets raised their HDL (good cholesterol) and lowered the level of fat circulating in their blood. The number of calories you need every day is going to vary depending on your age, weight and gender, and it’s best to consult your doctor about how much you should be getting. In general, most women can eat 1200 to 1500 calories a day and lose weight. Let’s say you manage to up your protein to make it 40% of your calories: 40% of 1500 calories is 600 calories. There are about 4 calories of energy per gram of protein, so 600 divided by 4 is 150 grams of protein per day. 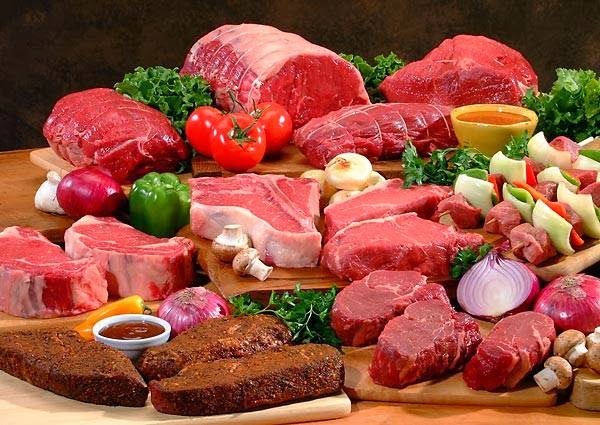 A piece of meat the size of a deck of cards is about 3 ounces and contains about 21 grams of protein. So seven decks of cards is the amount of protein you need, though your daily sources of protein shouldn’t all come from meat. Make sure to get your fill of beans, lentils, Greek yogurt and nuts. Just like any diet, the main danger, is overdoing it. Protein shouldn’t be the entirety of your diet. You still need carbs, but you should try and get them mostly from fruits and vegetables. If you have to eat grains, try to eat whole grains rather than refined carbs. Vegetable oils like olive oil or canola oil are healthy and can make up your calories from fats instead of butter. Nuts can also provide a healthy boost of protein, carbs and fat that has been shown to lengthen your life. In terms of protein, focus more on lean sources like fish and poultry while minimizing red meat. Even though you’ll be cutting calories, remember that you shouldn’t be starving yourself. The point of switching to more protein is that you’ll feel just as full with fewer calories. If you keep your diet varied, include plenty of fruits and vegetables, and keep your calorie count in the healthy range, you shouldn’t run into any trouble.